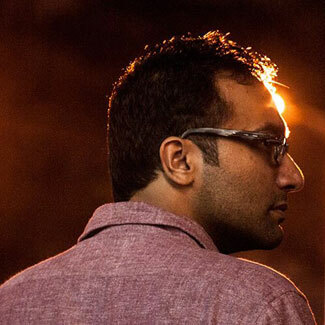 I know this conversation is going to be interesting…I am going to interview one of the most creative and versatile screenplay writers – Utkarsh Naithani. 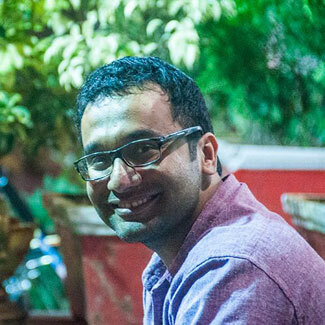 As a writer Utkarsh’s work has gained both critical and commercial acclaim and he has not been afraid to experiment in a number of genres. The most fascinating aspect of Utkarsh’s writing is that it focuses on the ‘character’. So he has the knack of creating and sculpting strong characters, some of which have turned out to be the most memorable in the history of Indian television. Utkarsh’s research into his writing is impressive which is probably why his characters don’t just come across as Black or White. He has the ability for tapping into the sympathetic angles of generally unlikable characters and hence the best anti-heroes presented by Utkarsh seem so vividly real and heartfelt! Utkarsh admits that he has the tendency to get too attached to his characters but at the same time, he maintains a controlled detachment while working on his screenplay…the perfect balance that makes a brilliant storyteller! Screenplay writing is probably the most underrated skill in the television industry. 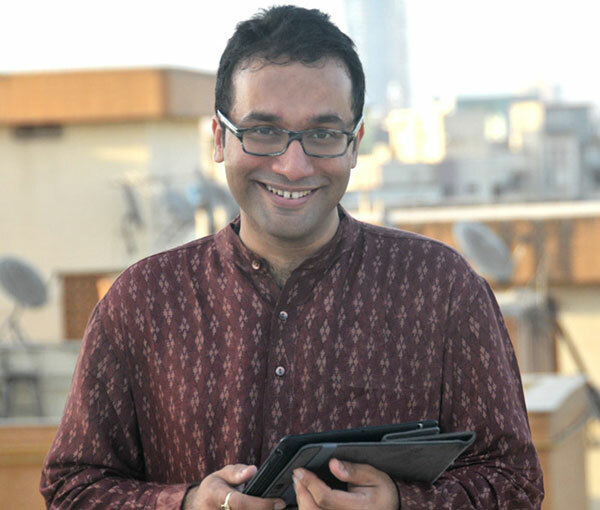 Tinsel Gupshup chats with Utkarsh Naithani who manages to churn out beautiful consistent screenplays in the inconsistent world of Indian television. 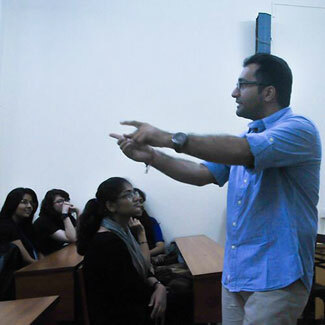 TG: BSc Mathematics to advertising & marketing to Sanjay Leela Bhansali’s production house. How did these transitions happen? UN:You know, looking back at all these transitions in my life, it almost seems like everything was really well planned out. However, I can assure you that I never planned my life or career in advance. I do believe that my experiences have helped in all the different phases. So, if I plan to do something, I’ll focus on it completely and also use my present and past experiences to help gain that edge. When I was studying at St. Xavier’s College in Mumbai, I was involved in theatre activities and I come from a family where literature has been given a lot of importance. After graduation, I was teaching Mathematics for a few years and then I decided to go in for a post-graduation in Advertising and Communication. I started working as a copywriter and I used to write all these advertisements for Radio city and so, began my love affair with Radio. I worked for various radio stations for about 8 years and around 2007, I was searching for a new challenge. My guru (Sadguru Vasudev) was opening a school in Coimbatore at that time and he asked me to come and help. So I resigned from my post as Creative head, packed my bags and head off to Coimbatore! 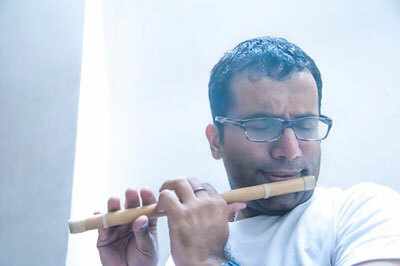 I was at the ashram for 2 years…teaching children and doing my own Saadhna. When I came back, I joined Radio again and that is when I met Sanjay Leela Bhansali. He was planning on starting something in television and I joined his production house as a creative director. So, writing for television was a very natural and gradual transition for me. During the time, I also wrote episodes for Diya aur Baati Hum and that was a brilliant learning experience for me. Then of course, I got involved with Mahadev…again a turning point in my writing career. TG: Apart from Sanjay Leela Bhansali, you have worked with some talented and creative people. What have you taken away from each person? UN:Yes! I have worked with some extremely talented people. When I was writing for Diya aur Baati Hum, I learned so much from Shashi Mittal. Sanjay Leela Bhansali’s approach to a scene is larger than life so I learned all about screenplay from him. On the other hand, television is completely different from movies and Shashi ji taught me how to think and write in terms of television! Shashi ji is one of the most talented writers in the industry and I am fortunate to have worked with her. Mahadev was also a turning point in my career and once again, I got to learn a lot about writing from Anirudh Pathak. For example, I will discuss and idea with Anirudh Pathak and he will give me a new dimension on the same idea and that has taught me how to enhance what I already have. My mentor in advertising used to tell me that creative expression is based on observations. Fortunately, I have worked with people who give me the creative freedom and let me use all my experiences and observations in my writing. TG: Coming to Mahadev, Jalandhar was quite a character…can you tell us about that whole phase of the show? UN: You know I have a certification in Psychoanalysis Counseling so when I started writing about Jalandhar; I made this huge document with his character sketch. This character analysis was not from the point of view of the show, rather I was writing about him as if I had met him…as a person who was suffering from psychosis. I had asked Anirudh Pathak if we were making Jalandhar a villain or an anti-hero because based on his answer, I would take the call on which direction I wanted to take him. Anirudh had made it very clear that Jalandhar was going to be an anti-hero. So, I have an entire psychoanalysis oh why Jalandhar is the way he is. The thing with television is that once a particular track is over, it is over. People move on but I can still sit down and explain each and every reason behind Jalandhar’s actions…I can get into why this character did what he did! You know, I always tell my students that story writing is a gift but screenplay writing can be inculcated. So stop thinking about how to write a dramatic scene rather try and understand what the character is all about. Once you understand a character, you can place as many characters on a page…and they will write their own scene!!! TG: For the lay-person, there is story, dialogue and screenplay. Can you explain all three to us? UN: This is such an appropriate question. Whenever I go to teach a class, this is the most basic and important thing that needs to be addressed first. Ok, let me try and explain this as I would explain it to my students. So, when I enter a classroom, I will tell my students that I was invited to this class today and I took the train to get here. On the train, I met a man who was wearing a Pink shirt. This man was upset about something so we started discussing why he was upset, we had a great conversation and now I am in this class telling you guys about this. Then I’ll tell my students about the conversation between that man and me. So, what I explained in the first part was the story, what I explained in the second part was the screenplay and what entails the conversation between the man and me was the dialogue. The story provides the direction, screenplay is the visualization of what the story will look like on screen and then the dialogues are based on the screenplay. TG: What language do you write in? For a mythological show like Mahadev, how well versed do you have to be with the language that is being used in the show? UN: If you are a dialogue writer then you do need to be well versed with the language that the character is speaking in. However, when it comes to story and screenplay, I know a lot of people who are not fluent in Hindi and yet they are writing for Hindi shows. For example, I don’t speak Marwari and I cannot speak the way Bhabho speaks but then I was writing the story for DABH, based on which Seema Mantri was writing the screenplay and Raghuvir Shekhawat was writing the dialogues. Now, Raghuvir bhai is the master of how Bhabho speaks and he wrote her dialogues beautifully. As a writer, I need to be aware of the way she speaks, her mannerisms and her traits, the nuances of her character…for example Bhabho always likes to be one up on everyone else! Recently I wrote the screenplay for a Malay television series and it was tricky because I kept asking the makers to tell me about the people and the culture. So it is very important to understand the culture of the show and the character. Now, if we come to a show like Mahadev, again, Hindi is not a necessity while writing the story but I am fortunate that I am fluent in Hindi and Sanskrit as well. Sometimes while writing the scene, I’ll have a dialogue in mind and I give my input to Mr. Subrit Sinha. For example, the famous last conversation between Mahadev and Jalandhar…I was wondering what the final conversation should be like or as we way ‘uska sur kyaa hogaa?’ That line – ‘agar ansh hotaa aapka toh kabhi sheesh pe haath rakha hota’, this thought came from Anirudh ji. Now that thought led to an entire conversation and I wrote that entire conversation in ‘Sanskritised’ Hindi. The screenplay has to be crystal clear because it sets the tone for the episode and then the dialogues come out from it. So I wrote that entire part of Mahadev in Hindi because thoughts were so important for that final conversation. So, there are times when I have written in Hindi or Sanskrit. As I said, I am fortunate that I am well versed with the language and if my heart tells me that this moment in the show requires my thoughts to be written in Hindi…then I follow my heart. TG: I know you have an interest in psychology. How far do you go into studying the actors who will be portraying your characters when you write for them? For example do you write for Saraswatichandra played by Gautam or the other way around? UN: Oh…that is such a beautiful question!!! There have been occasions in the past when a character has been created keeping a certain actor in mind. This happens more in films than in television. When I started writing Saraswatichandra, I had no idea that Gautam Rode would be playing that role. When I was writing Jalandhar, I knew that Mohit Raina will be portraying that character. As a writer, when I write the first draft and create a character, I don’t like to get too concerned about who will be acting because that can restrict or block me from thinking openly. Once Mohit became Jalandhar I could see how beautifully he was portraying the character. That gave me a whole new dimension to play with because, my point of view was that if Mohit can depict this side so well then I can start adding layers to enhance that side even more and he will be able to carry it off with ease! I know a lot of people appreciate Mohit for his good looks but he is one of the most talented actors in our industry! 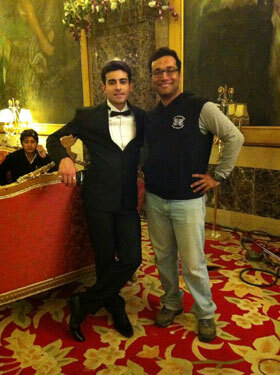 Gautam Rode is a fantastic thinking actor and he used to have long discussions with me about his character. 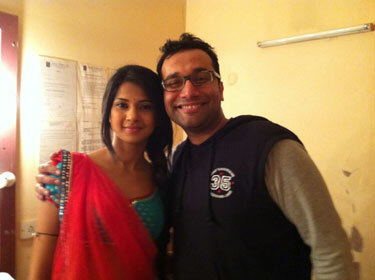 Before the show started, Gautam has spent hours and hours with me discussing little nuances about Saras. Actors prepare for a character in their own way but as a writer I really don’t like to base my character on an actor. I love the faith that Gautam and Mohit have placed in me and it is a pleasure to watch them enact what I have written. TG: From Jalandhar to Ravan…I get the feeling that your writing is character based? UN: Definitely. My writing does focus on the character. After Jalandhar, my focus turned to Ravan and people who criticized me for Jalandhar….they will have a field day with my Ravan!! The thing is that I do not see the world as Black or White, there is a whole area of Grey in between. Many people questioned me about Jalandhar and in my defense…I have read that unlike people who have read interpretations and translations of the Shiv Puran…I have been fortunate to read it in the original form that it was written in. So I have literally gone to the root. In the Shiv Puran, Jalandhar’s character fell in lust with Parvati and that was his downfall. However, it had been clarified to me that we will not be taking the show in that direction because we did not want to create another villain who would stand in front of Mahadev and laugh like an asur! We wanted to explore another side to Jalandhar but having said that I always remind people to look at the disclaimer at the beginning of the show – this show is for entertainment and we are not trying to recreate the Puran! I find the Ravan track extremely exciting because once again…is he an anti-hero or a villain? As a writer, I like to explore how a character got from point A to point B. I mean, he can’t just wake up one fine morning and declare that he wants to destroy the world! Ravan was Mahadev’s param bhakt so we wanted to explore what could have happened that led him to become the way he did? TG: Saraswatichandra is an epic novel. As a writer, how close do you think you will stick to the novel? Does it get you worked up if you have to introduce twists and turns due to external pressures? UN: When Sanjay ji told me that he wanted to make Saraswatichandra, the first thing I did was to make sure that I knew the story properly. The book is based in the late 19th century and the movie was made in 1967 so I asked Sanjay ji if we were going to make a period show or contemporary one and he was very clear that we were going to make a modern show. If you look at the show right now, we have maintained most of the original names, locations etc but for me the most beautiful thing about Saraswatichandra is the romance between Kumud and Saras through letters! Now, Sanjay ji is the man who got Paro and Chandramukhi to meet in his movie and yet the same Sanjay ji never tried to change the ending of the book by making SRK and Aishwarya meet at the end! So, Sanjay ji had a vision for Saraswatichandra and he said that we will maintain the essence of the original story but it will be made in 2013. So, in the book, Saras is a very straightforward guy who wants to do ‘jagat-kalyan’ and does not want to get married but in this day and age that does not sound very sensible. So, we maintained the first letter between Saras and Kumud but then we took the story off from there. So…does it put me off when we have to stray from the original story? Well, honestly speaking there have been so many occasions where I have had to stray from the original story or concept but that boils down to the demands and limitations of daily television. The problem is that when I write, I get too close to my characters so I can tell you straight up that Vrinda from Mahadev won’t do this or my Kumud won’t react like that! Unfortunately though…there are certain demands due to which dramatic situations have to be created and that boils down to how television works. I am constantly learning…each show, each character teaches me something new. So now, I have learned to deliver yet hold on to the basic essence…I believe that the truth can be spoken in many ways! TG: An actor or actress who you would like to write a story for? UN: See, for me the concept of a muse is very restricting. I get very attached to my characters so instead of giving my ‘muse’ a shape or size…I like to keep it fluid. I believe that if we get caught up with the idea of a muse then it can bias our opinion. I can write for people I am close to…because I have spoken to them, I have this image in my mind about them…but apart from that I would not like to restrict myself to one muse as such. TG: You had mentioned that when you were writing for Diya aur Baati hum, penning down the romance between Suraj and Sandhya had been difficult. Why was that? UN: Yes, basically the culture of DABH such that there are a lot of ‘don’ts’. Suraj and Sandhya are a married couple and they have been married for a long time yet it was during the Singapore track that he said ‘I love you’ to her for the first time. It was tricky to show romance and love between Suraj and Sandhya because they are not the kind of couple who will look into each other’s eyes and profess their love. So we had to look for alternatives and solutions to show those tender moments. For example, during that Masterchef track in Singapore, a Singaporean Chinese contestant taught Suraj how to say I love you in that language. I still remember the way Suraj said it in his typical manner…’Sandhya ji…Wo ai ni’ and Sandhya gets all confused and replies ‘Suraj ji kaun nahi aayee?’ It was funny but the viewers loved it and we received a lot of positive feedback about that track. So basically we had to rely on a lot of alternative routes to bring them together and that is just because of the culture of the show. I remember, I would think of an idea and I believed that my idea was fantastic. Shashi ji would listen to my idea, smile and say – ‘Utkarsh ji, you have been influenced too much by Bhansali ji!’ So when I tell you that I learned so much about television writing from Shashi ji and DABH….I really mean it!! TG: I have noticed that you are active on twitter and take personal interaction with the viewers quite seriously. You took a lot of heat from fans during Jalandhar…how do you take the criticism? UN: Personally, I think it is very important for a writer to interact with his fans…especially when it involves television shows. You have to take the positive and negative feedback with a pinch of salt. Sometimes I do get carried away because 20 people will interact with me, say such wonderful things about my work and I feel…wow…life is beautiful. The next day, 20 people will find fault with your work and makes you wonder what you are doing with your life!! I am on twitter and I have a facebook page and people take the time to send me in-depth analysis of each and every episode and I feel so grateful to receive that kind of feedback. These interactions allow me to understand how the viewers are responding to my work. So, now going on a philosophical note…I write better when I am in a good state of mind. There have been times when I have shied away and shut down because people are getting too critical about my work. I am sensible enough to understand where to draw the line and if something upsets me and affects my work then I will not offer my other cheek! I completely understand that people get passionate about a show or a character but I will read their criticism, understand it and then step away or take a stand because my work is my priority. The psychoanalyst in me will want to have a healthy discussion but the writer in me will read the comments and then shut down. Having said that, I have always interacted with my viewers and a lot of people were upset about the way Adhi-Shakti was being portrayed or had doubts about Jalandhar etc but I have discussed my point of view with these people and there have never been any hard feelings. Everyone is entitled to an opinion and people do need to understand that we put in a lot of effort into each and every episode. I take my work very seriously and a very long thought process goes into what is being shown. Anjalika, what a delightful interview! Your questions are always so insightful and Utkarsh is a delight to read! Loved his description of the thought behind his characters. Looking fwd to your next! so we get to know more about the writer. Very well framed questions and very honest answers.loved it.